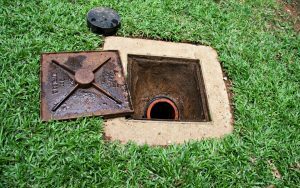 When there’s something wrong with your home’s sewer system, you want to know the cause of the problem as soon as possible. Perhaps you noticed a strange odor coming from your drains, or maybe a section of your yard has begun to sink. Both of these signs can be indications of a sewer problem, and the sooner you have it addressed, the sooner you can stop worrying. 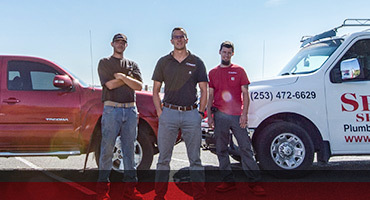 At Spartan Services in Tacoma, we can provide a sewer camera inspection when you need it most. Our professional inspection will provide insight into what’s causing your sewer to back up, leak, or cause damage to your landscaping. 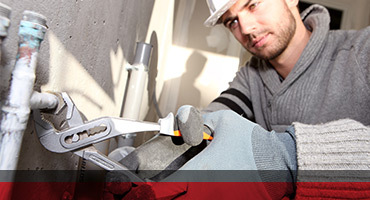 With the technology of a sewer camera line, we can get up close and personal with the problem. A waterproof camera is inserted into the sewer line, and the flexible line allows the camera to travel through the pipe until it reaches the leak, break, or obstruction. The camera feed is displayed on a screen that our technician is watching the entire time. The camera can maneuver as far as necessary, and we’ll be able to see exactly what’s going on in your sewer. 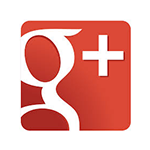 Once the camera inspection is complete, we’ll provide you with our recommendations on repairs. If a tree root has burst through your the pipe, trenchless sewer replacement might be the best option. If there is a clog or obstruction, high pressure water jetting might do the trick. Regardless of the cause of your sewer issue, we’ll provide you with the very best service every time we’re in your home. If you’re having sewer problems, contact Spartan Services today. With our expertise and camera technology, we can get to the root of the issue in no time at all.